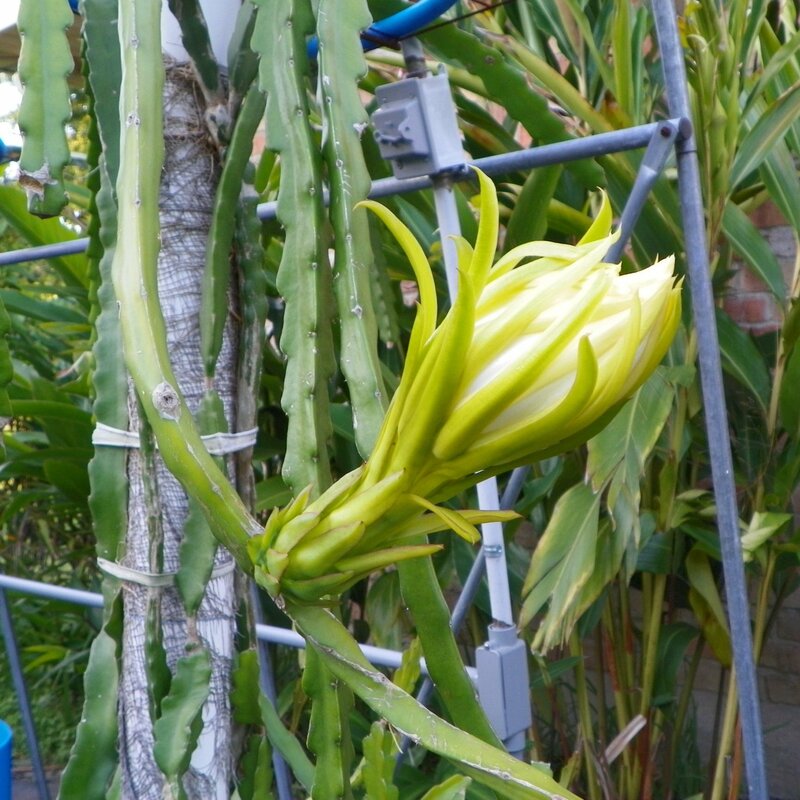 Hylocereus guatemalensis is a variety collected from Guatemala, Central America. 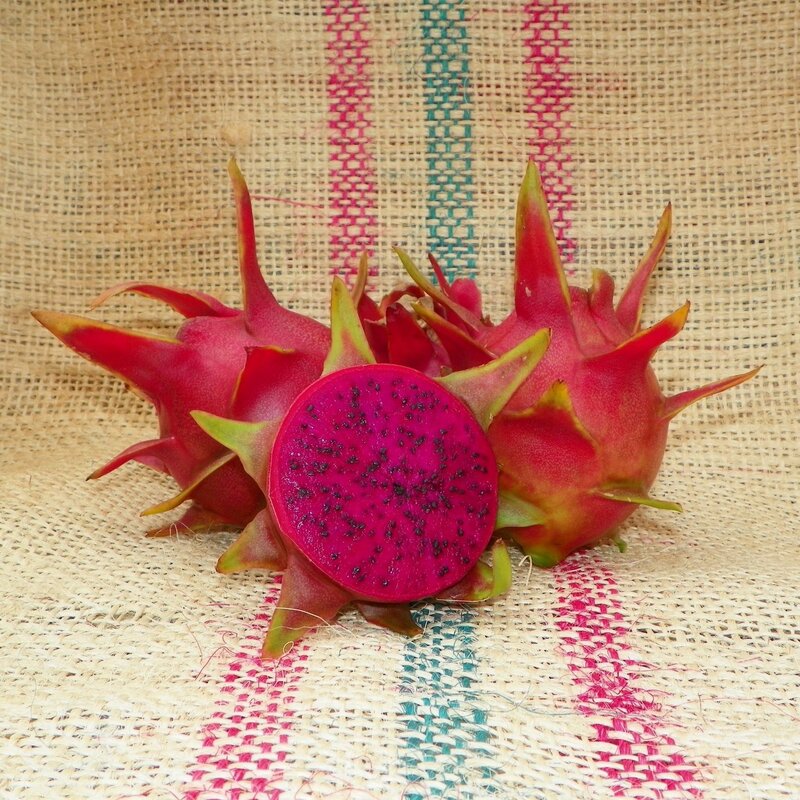 This variety produces sweet, delicious, large 1.0 to 2.0-pound attractive fruit. This fruit makes this variety and easy addition to collectors or even beginners. 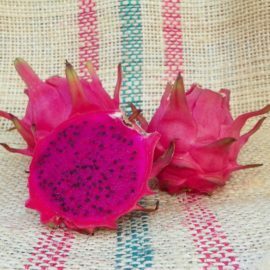 This fruit is similar in taste and appearance to the American Beauty and Condor varieties. 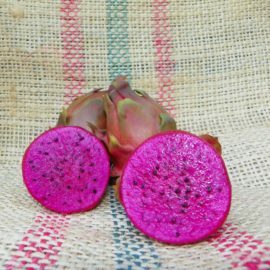 The flesh has a bright purple while the skin is a deep pink with well defined green fins. 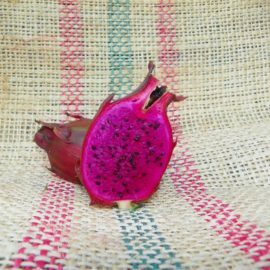 Like with many Dragon Fruit the bigger the fruit the better taste. 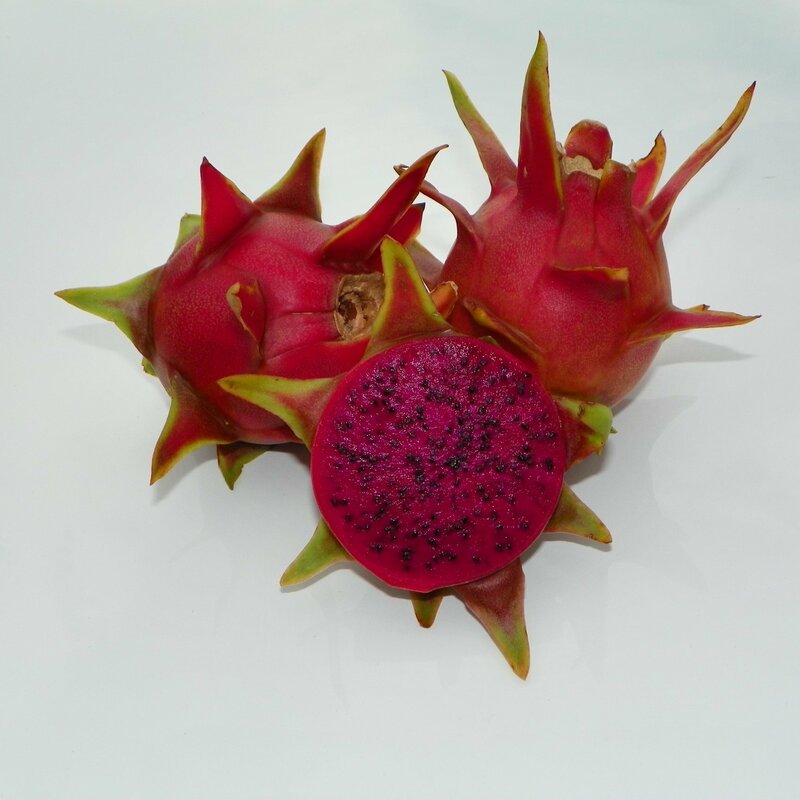 The 1.0-pound fruit has had a brix score of 16 while the larger fruit has had a slightly better score. 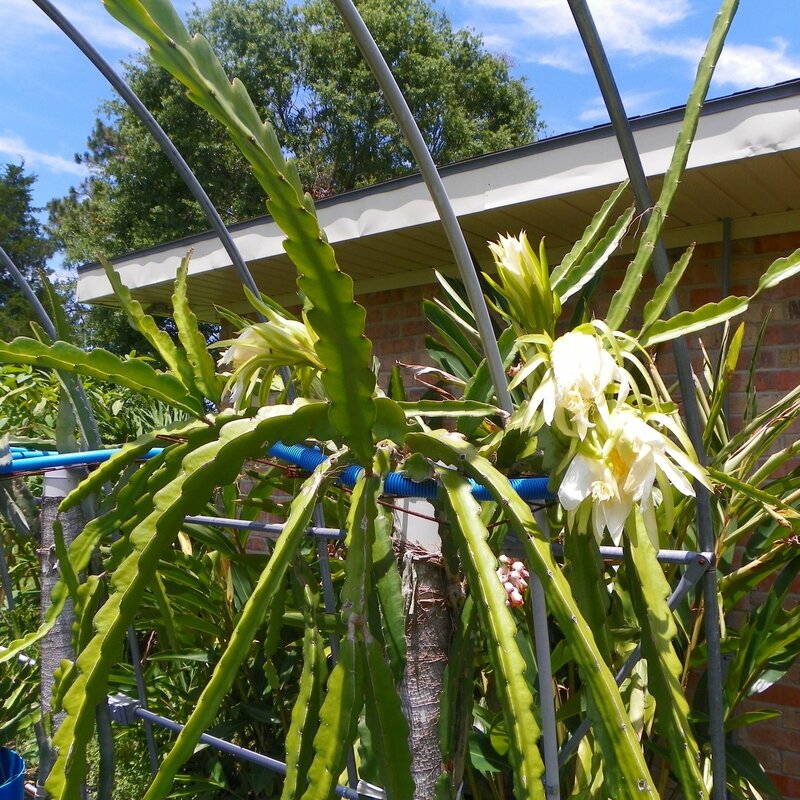 The plant is a rapid grower and a strong climber. 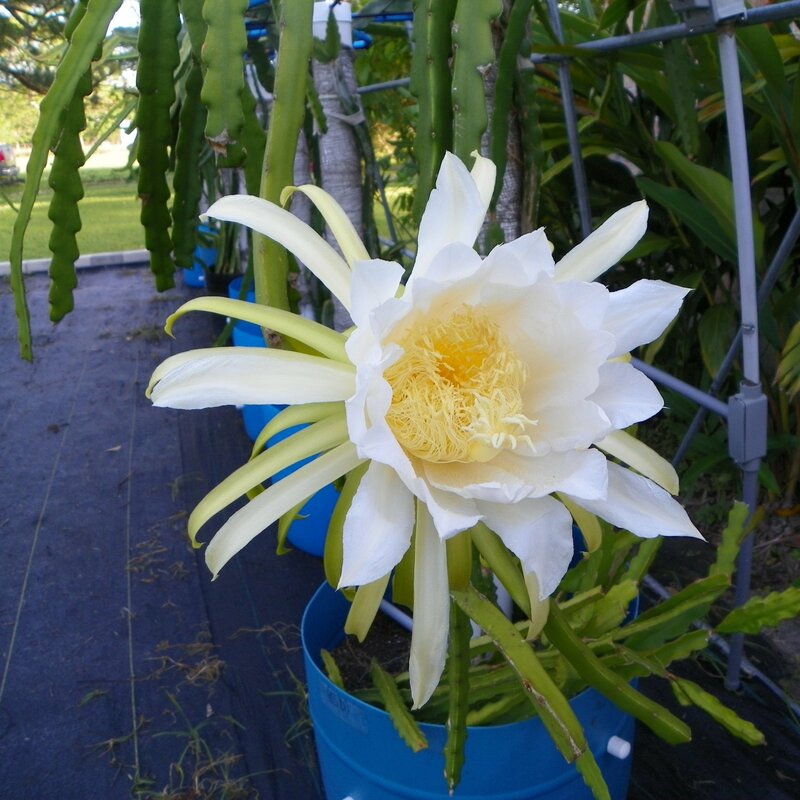 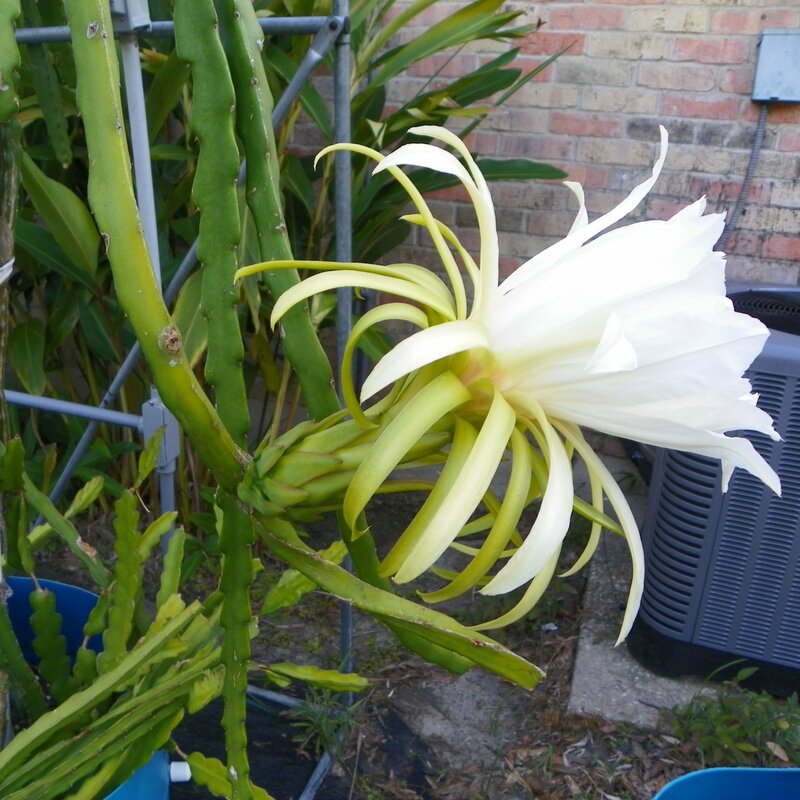 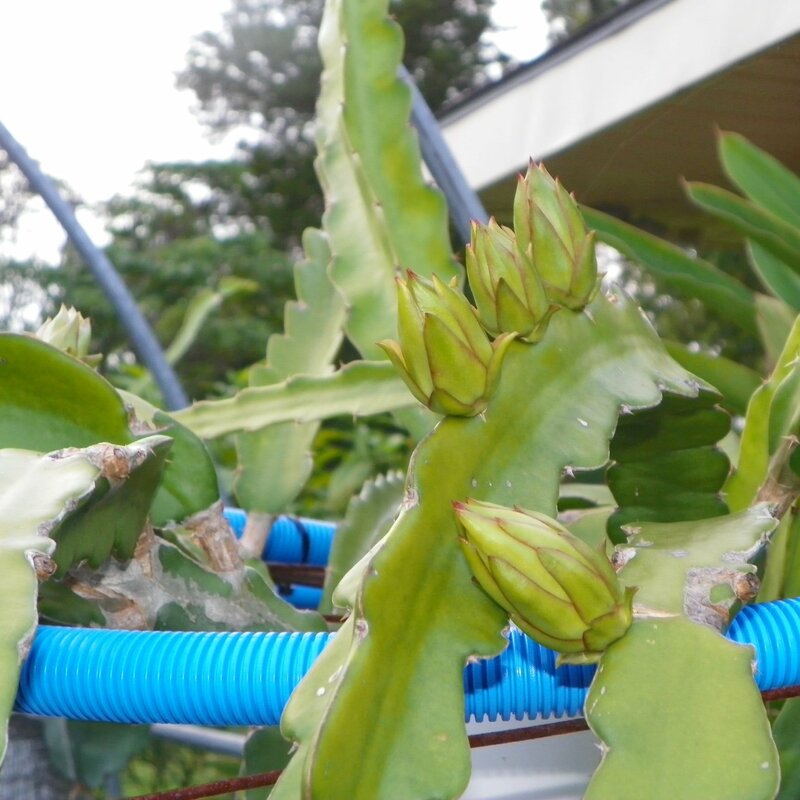 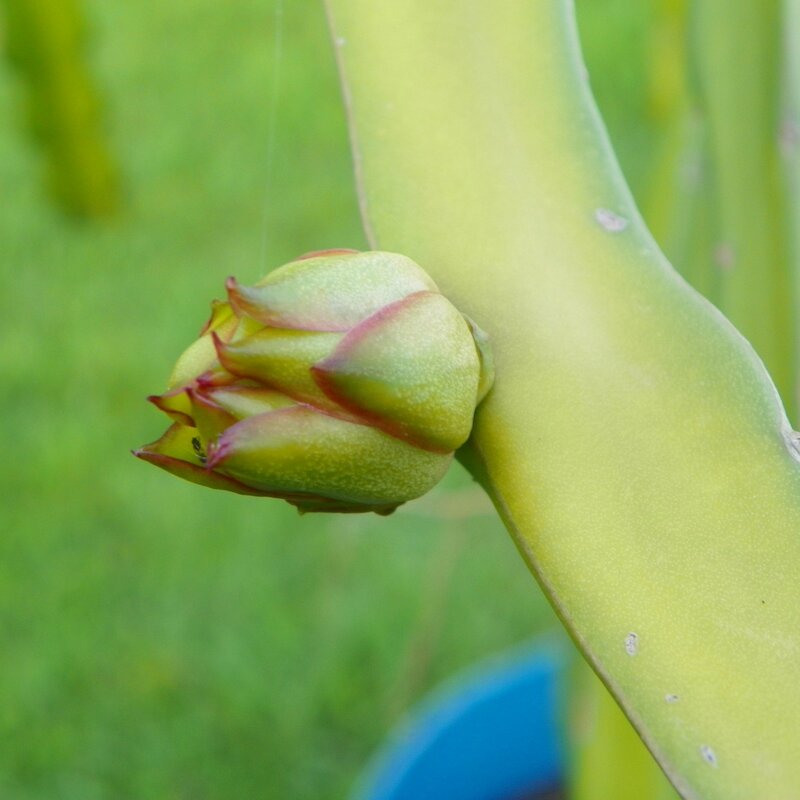 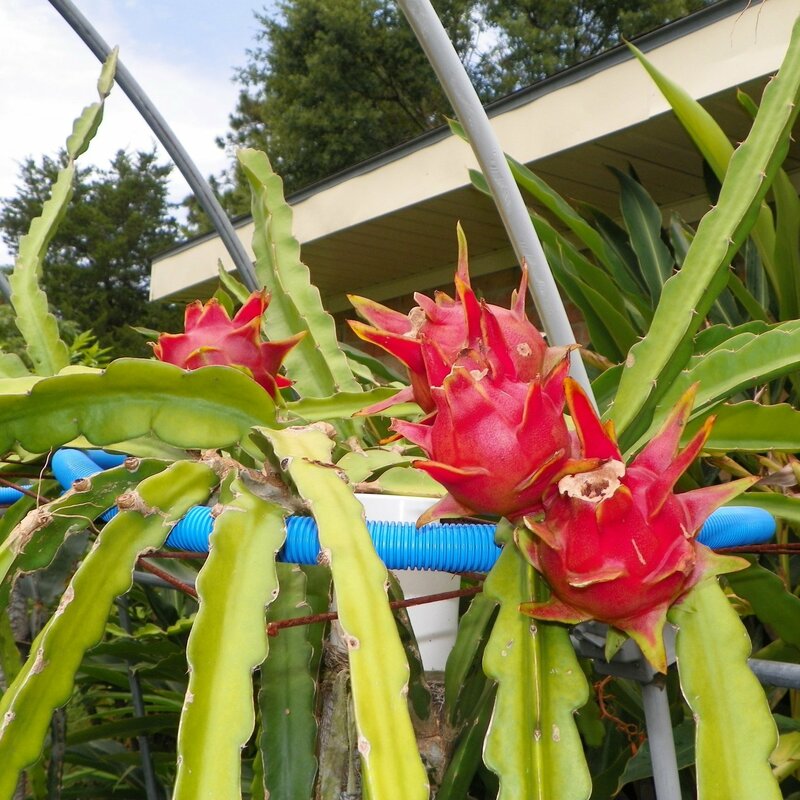 This Hylocereus guatemalensis variety was acquired from a grower in Texas.